If you just want a calm night out you should check out one of the lounges in Missouri! These lounges generate a complete mixture between a bar and club to appeal to a variety of people. The Missouri lounges are amazing for sitting back and chatting with friends while enjoying awesome music.Find the locations of these MO lounges in our guide. When you want to relax after a long day, visit the Upstairs Lounge in St Louis, MO. This bar and lounge is the perfect place to spend an evening at, and is located in the Tower Grove South neighborhood. Upstairs Lounge is open every day of the week starting with 9 PM and until 3 AM and the location is friendly and accessible. The lounge features an outdoor patio where smokers can enjoy a cigarette and a drink. 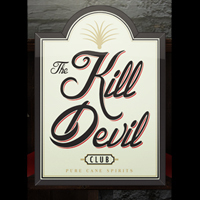 If you want to experience a fun but chill night out in Kansas City, MO you should definitely stop by the Kill Devil Club. 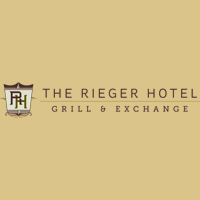 Located in the city's downtown, this lounge is classy but cozy and ideal for residents and tourists. The lounge has a flexible schedule and is open every day from 7 pm to 3 am. Live music events are scheduled to take place every weekend and the atmosphere is intimate, making anyone feel like home. 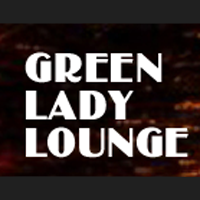 If you like jazz you shouldn't miss out on the chance of visiting the Green Lady Lounge. This jazz lounge brings together all things jazz in a friendly and cozy atmosphere. 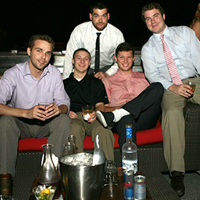 The lounge is conveniently located in downtown Kansas City, MO and features a dance floor that can be used for dancing. Green Lady Lounge's dim lights and artistically served cocktails attract visitors from all over the state and not only. The bar is open every day until the wee hours of morning. Chilling out with your friends has never been better! Firefly Lounge in Kansas City, MO provides all the excitement you could need on a weekend. Join in on the fun taking place each Thursday, Friday and Saturday when the best live events happen and popular DJs come to bring their skills to a whole new level. 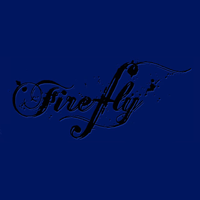 Firefly Lounge is open every day from 4 PM and until 3 AM and a smokers' area is located outside. 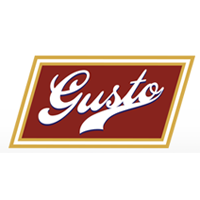 The Gusto Lounge is a bar and lounge located in Kansas City, MO. The lounge's accessible location and good drinks made it popular among Kansas City residents and not only. The Gusto Lounge offers the possibility to book a private event such as a party and offers discounts for large groups. The bar is the perfect hang out place for friends but also a suitable choice for business meetings. Various music events take place every week. 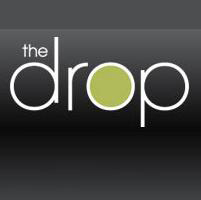 If you stop by Kansas City, MO and you want to get a taste of the city life remember to stop by The Drop bistro. With its cool atmosphere and urban setting, The Drop became a popular destination for people who want to have fun or hang out. This hot spot brings trendsetters together and is open from 11 AM up until late hours of the night: 1 AM and 2 AM during weekends. The Manifesto Lounge is worth visiting if you want an evening full of good food, drinks and a friendly crowd. The lounge's location in downtown Kansas City, MO makes it accessible for people wanting to find something exciting to do. Manifesto is open until 1:30 AM every night and the best nights full of live music and other events are mid-week. The lounge's capacity is small, fitting 48 people but the intimate atmosphere more than makes up for it. The Mandarin Lounge in St Louis, MO brings all the fun to a whole different level. The Asian inspired lounge features a stunning interior and is the first lounge in town to feature a rooftop. Private events can be held here during the summer days, and the variety of Asian inspired drinks and food will provide you with a unique experience you cannot find anywhere else. The Mandarin Lounge is open until 3 am, from Monday to Saturday. 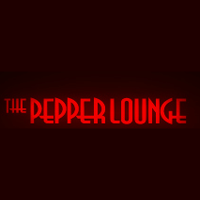 One of the best lounges in St Louis is called the Pepper Lounge and is located downtown, on Locust Street. The lounge is a hot spot for everyone who visits St Louis and there is a different event taking place each evening. On Thursday, you can get any drink for only $3 while on weekends the hottest DJs come to bring the best music. The lounge takes table reservations and large groups can host private parties. 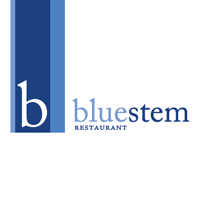 The lounge at Bluestem in Kansas City, MO will provide both tourists and Missouri residents with the best atmosphere and the finest food. The cool and classy lounge is open daily from 5pm to 1am, with a shorter schedule on Sundays. The restaurant will not let you down as you will get to taste the best menu in town for an affordable price. The location does not allow smoking and it has a casual dressing code.